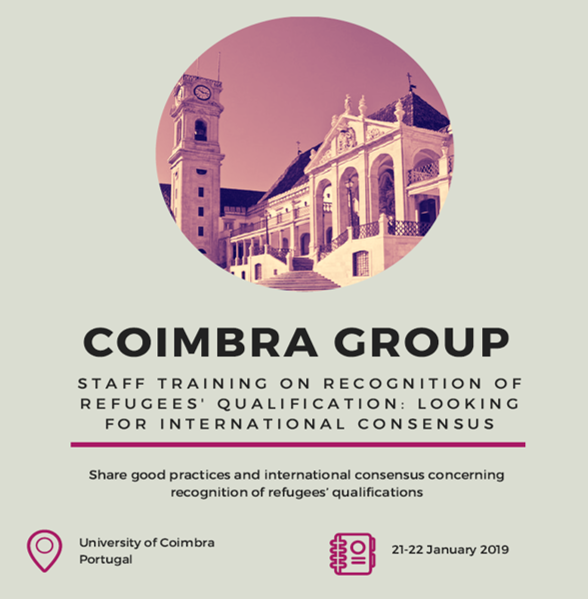 The Coimbra Group is organising the workshop “Recognition of Refugees’ Qualifications: Looking for International consensus”, to be kindly hosted by the University of Coimbra on 21-22 January. The objectives of this workshop are to present and discuss the different approaches already in place towards the recognition of Refugees’ Qualifications and to learn mainly with those considered as best practices. The updated programme, registration form and practical information are available here. Deadline for registration: 30 November 2018.